This is first item that my Dad ever made for me. It was a Hope Chest made of solid walnut and lined with cedar. If you look very, very closely you may can see where he routed out my name and a heart shape on the cedar lining the top. 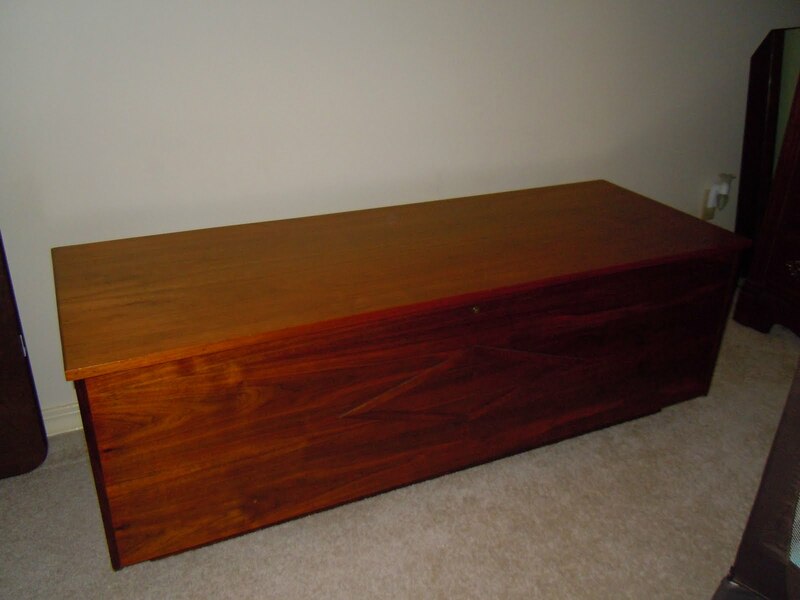 This was my gift for high school graduation 41 years ago. Yikes, has it really been that long ago???? He made this cradle when I was expecting our first child, his first Grandchild. 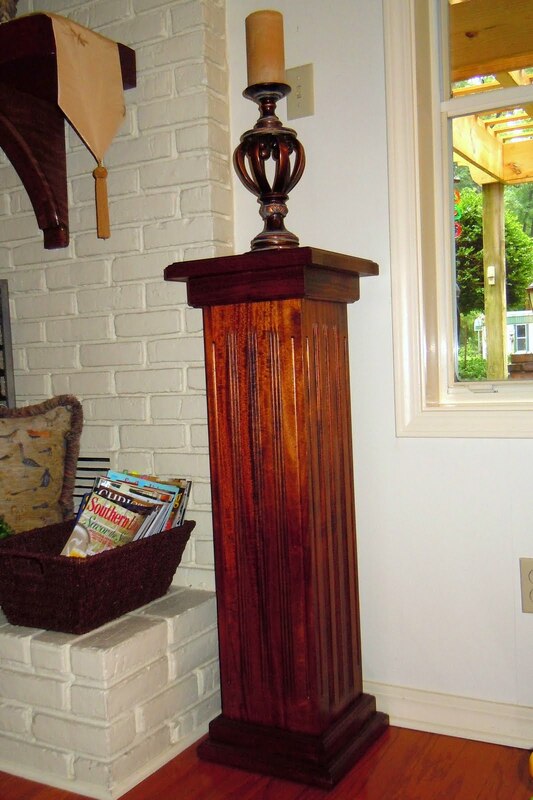 It is also made of walnut and is an antique reproduction. It is a stunning piece. 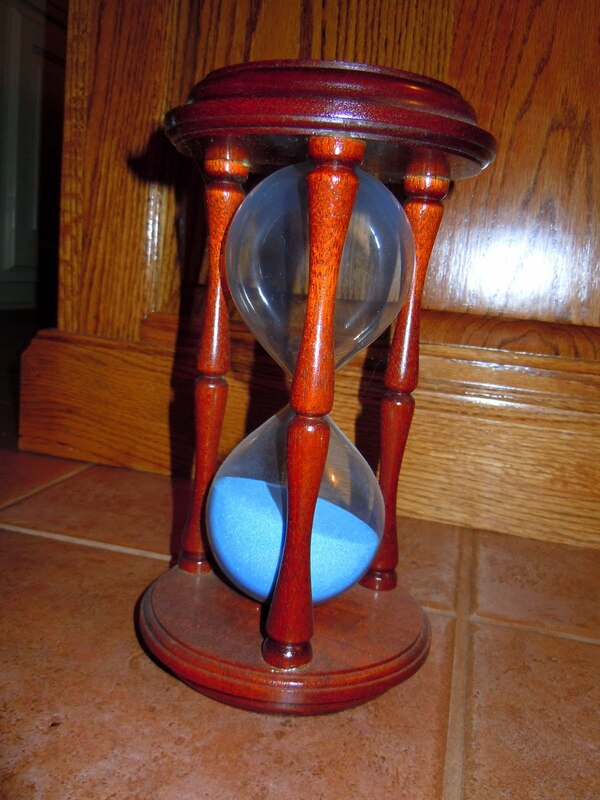 This is a 10 minute timer made of mahogany. 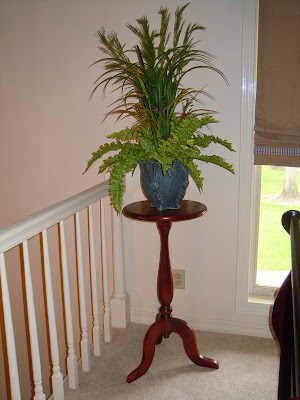 It has been quite the conversation piece over the years as it sits in our family room. This plant stand is made of walnut also and makes a lovely place for plants or other decorative pieces. About 6 years ago he made me two of these columns out of walnut to go on either side of our fireplace. They are gorgeous and make such a statement. There is a lot of details to them that I'm not sure you can see in this photo. 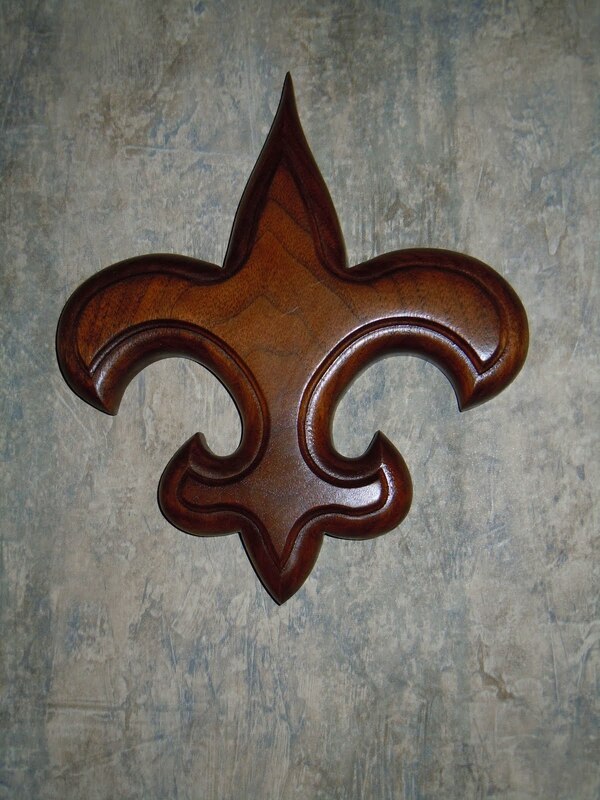 The cross and the Fleur-de-Lis are wall pieces and both are made of walnut. I treasure each of these items and they will certainly be heirlooms to pass down from generation to generation. Dad has been fighting the effects of Macular Degeneration for several years and it gets increasingly more difficult for him to work in his shop. But, due to familiarity, he is still able to spend happy hours being creative and I pray he will for whole lot longer. He is a retired Southern Baptist Minister and spent over 50 years in the ministry. 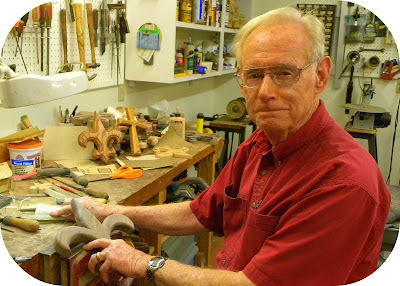 He's often said that he enjoys working "in the Word and in the wood." Makes for a dynamic combination for a dynamic man that I proud to call DAD. 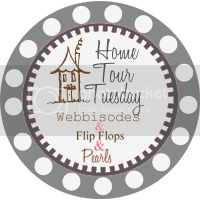 For more HTT, click on the button above and tour away. May your Tuesday be terrific! Hi there, does your wonderful dad take orders? If so let me know and I will get mine to him. Lol. I know these pieces were made with lots of love in each one. 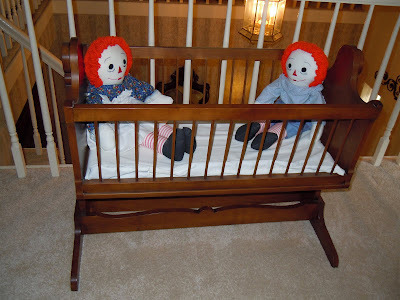 I think my favorite would have to be the baby cradle. It is beautiful. I love how you and your dad have such a warm relationship. I, too, am a bit of a "daddy's girl." 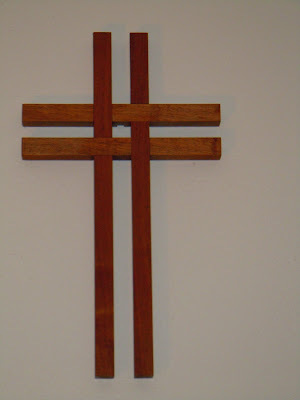 Your dad is so talented and I am so blessed to have his cross hanging in my living room! Wow, beautiful work. Such a talent he has. 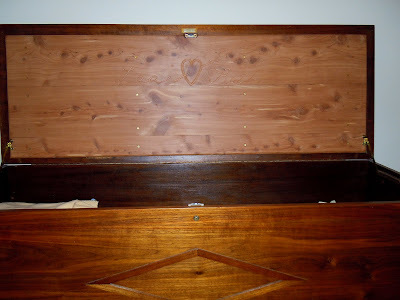 There is your hope chest...how beautiful and what a treasure. All of the pieces are just wonderful...something so few people ever get to enjoy, something made from their love ones hands. I love to hear about the wonderful relationship you have with your dad. My relationship with my dad has always been a little strained, and while it's better than it used to be, it still isn't the kind of relationship that I'd prefer. It does my heart good to see that there are dads out there who give a glimpse of our Heavenly Father. Have a terrific Tuesday. You are so lucky to have those things made out of love by your father. OMGosh......what beautiful items you have. I am so glad it's a free day otherwise, I may have missed these jewels! what a sweet man... you take after him, i can tell. : ) and he really is so skilled. his work is gorgeous. i feel a new connection to you knowing that you came from a pastor's home. you know what it's like to work in ministry. and since my honey is a worship director i'm still just beginning to learn my role as a wife of a pastor. anyways, i too, hope your daddy will be in his shop for many years to come. How very special! The cradle and the chest are my favourites. How thoughtful. So nice to have those things to pass down through the generations.